In the wake of two recent Boeing plane crashes that took the lives of 346 people, Ralph Nader wants to know why the Boeing-sponsored Meet the Press with Chuck Todd refuses to address the issue of air safety, Boeing and the Federal Aviation Administration (FAA). 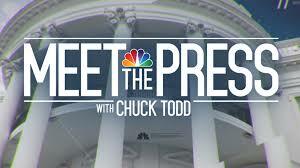 Todd has yet to mention the plane crashes on Meet the Press. Nader wrote to Todd recently about the issue last week.